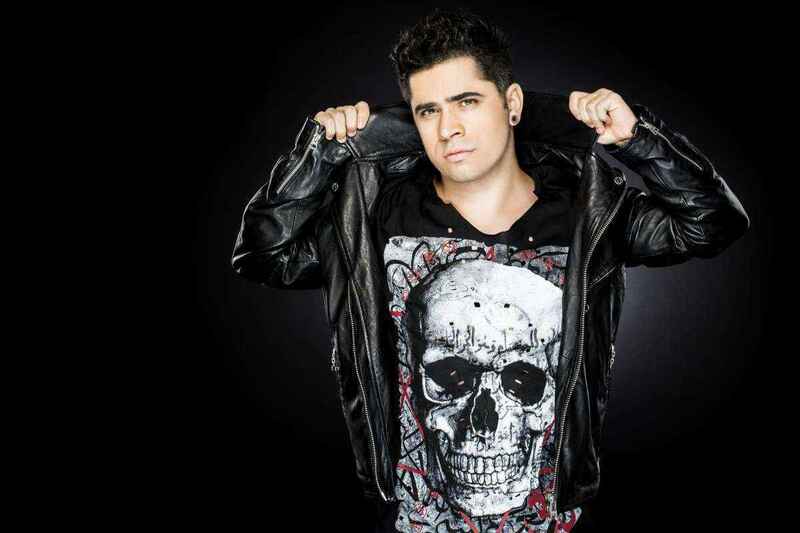 Dance music sensation Felipe Ramos aka FTampa hails from a small town in Brazil and has risen to be one of the country’s most recognized artists. He has been making waves across the industry with over two million monthly listeners across digital platforms and over one million Facebook fans. He has returned to Sony Music with his latest single, “Light Me Up.” Following the major success of previous tracks “Our Way” and “Love Is All We Need” which gathered over 25 million streams combined, “Light Me Up” showcases his extreme versatility in musical production. Combining the makings of a pop and dance anthem, the cut shows off a feel-good vibe that’s an unquestionable add to your end of summer playlist. The first two singles Ramos released in 2017 were “Glowing” and “Love Is All We Need” which have over 10 million streams on Spotify since their release, as well as over 3 million views for the official music videos on YouTube. “Light Me Up” is expected to surpass his previous hits as his third single this year. 2017 marks FTampa’s first world tour, making stops across North and South America, Asia, and Europe. Things are positively looking up for this inspiring young artist. We recently got the chance to catch up with him and discuss his journey becoming a producer, recent and upcoming music, major milestones, world travel from one main stage to the next, and more. The Nocturnal Times: How did you first learn to produce and when did you decide that was going to be your path? The Nocturnal Times: Your new single “Light Me Up” is out now via Sony Music. Are there any special moments that inspired you to make this track? FTampa: To be honest, The Red Hot Chili Peppers inspired me to start producing this song. The guitar riff was supposed to be for another song, I was thinking about them when I created it and decided that I would make a song based on it. The Nocturnal Times: You were the first Brazilian born producer to perform at the Tomorrowland main stage in Belgium (2016). How does that feel and what does it mean to you? FTampa: It feels great. It’s something that lasts forever you know… to be the first. It was incredibly exciting to be performing on a stage that I admire so much with some of the biggest artists from all over the world. The crowd was also insane. The best part was taking Brazilian music with me and showing the world that Brazil has a lot to give. The Nocturnal Times: Which artists are you currently listening to? Any specific tracks you can’t keep off repeat? FTampa: I’ve always listened to a lot of pop and rock. Lately, I’m pretty fixated on listening to Michael Jackson and some other classics. But I’m a big listener of New Music Fridays I must confess. Always tuned in. The Nocturnal Times: After traveling the world to perform and even playing Tomorrowland you’ve had quite the whirlwind of a ride. Are there any festivals/cities that you haven’t yet had the chance to play but would like to? Why? FTampa: I want to play all of them!! Haha… I love producing and being in the studio, but playing the MainStage of a big festival is the best experience ever and this energy makes me go back to the studio and produce more. So I really want to keep playing all over the world! The Nocturnal Times: What moment/event do you consider your biggest achievement to date? FTampa: Being the first Brazilian ever to play on Tomorrowland mainstage was definitely “the thing”. I would rank it as number one. But being able to spread my music and perform all over the world is a huge dream come true, it is a continuous achievement… haha. The Nocturnal Times: What’s in store for your fans in the near future? FTampa: There is a lot I’m working on right now. We will be releasing a new track around October or November and there are so many routes we can go that I’m overwhelmed with the possibilities. It is really something I must build together with Sony and my team and steer the boat in whatever direction we decide as a team. But for now I will enjoy my last release, “Light Me Up” and the video – that was a total blast!! !